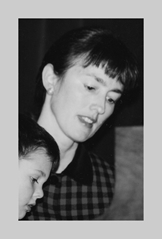 Susan Bruckner is a pianist and teacher with degrees from the Eastman School of Music, the New School for Music Study and the San Francisco Conservatory. She is a certified practitioner of Neurolinquistic Programming and has done extensive research on learning styles and teaching to the subconscious mind. she is a clinician at the annual Healthy Musician Institute at Ithaca College and frequent lecturer on these topics in the U.S. and abroad. She has taught on the music faculties of the University of Utah, Ithaca College, and currently Cabrillo College near her home in Santa Cruz, CA where she also has a private teaching studio.